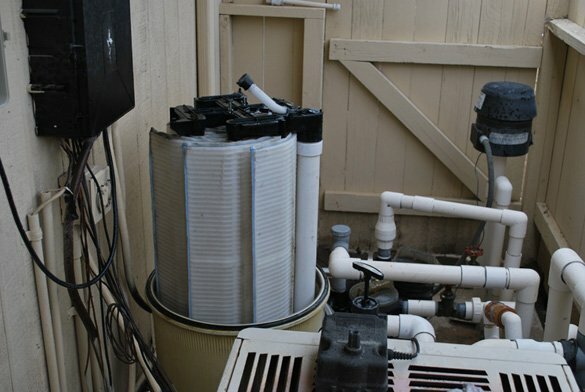 A Rancho Bernardo homeowner contacted us because their San Diego area swimming pool had algae that they wanted removed from the pool. The homeowners informed us that the pool and spa had not been properly taken of for months. Once at the property, the first thing we did was check the water chemistry levels. 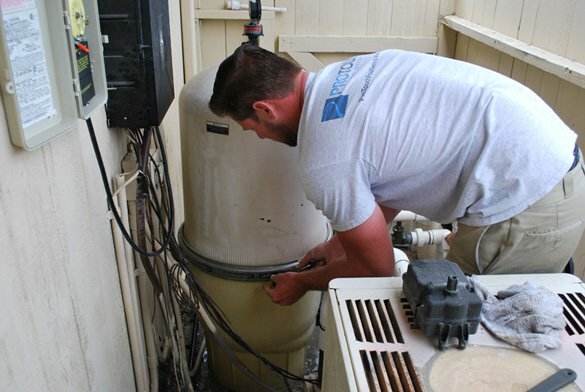 Other than having no chlorine and high pH, the pool water chemistry was in the adequate ranges. 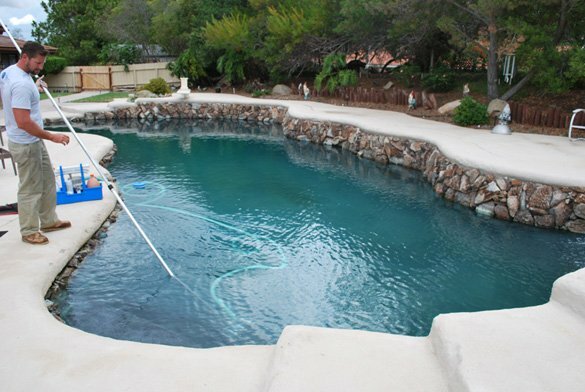 To remove the yellow mustard algae on the pool sides and the green algae on the natural rock stone on the surrounding edge of the pool and spa we super chlorinated the water. During this multi day process the pool surface was brushed and vacuumed many times. Each day the Pentair fns plus 60 d.e. 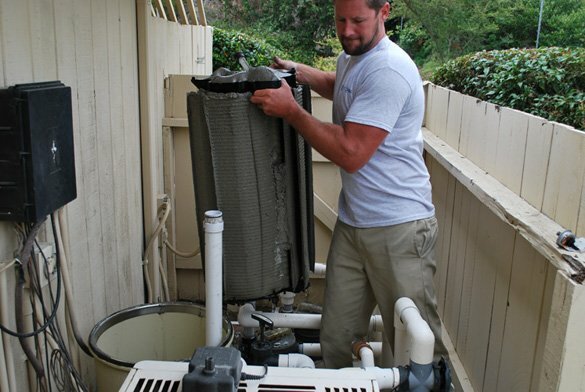 pool filter was cleaned to aid in the algae removal. The homeowners were very happy that the algae clean up was completed so they would be able to use the pool and spa that summer. 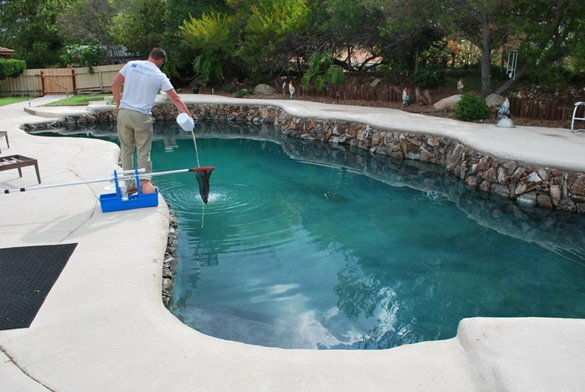 In fact they were so happy with algae removal that they had us take care of their pool on a weekly basis.